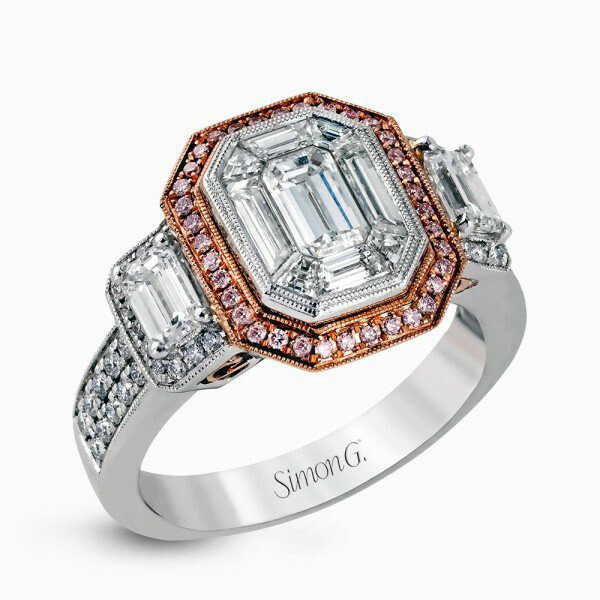 This eye-catching engagement ring setting is from Simon G. Crafted in 18kt white and rose gold, the mosaic piece features a center of white diamonds in the shape of an emerald cut, with a halo of round pink diamonds. Emerald-shaped side stones have a halo of white gems. 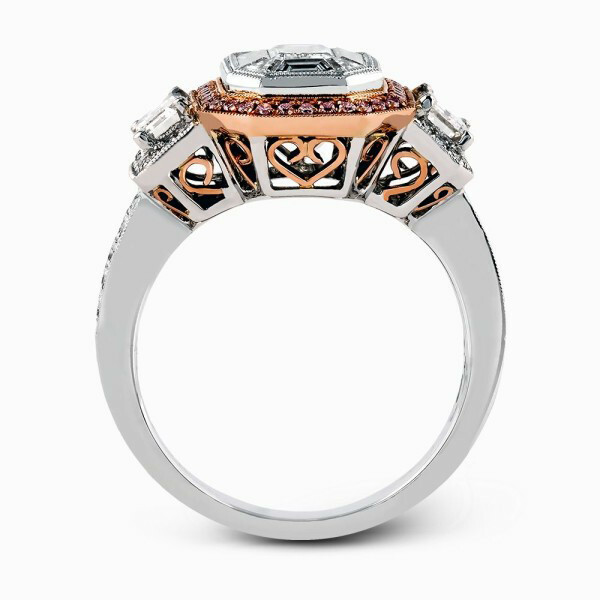 Two rows of diamonds embellish the band, while the profile displays a rose gold heart motif and scrollwork. There is a lot to see and admire in this Simon G. engagement setting!